How to Ask for a Letter of Recommendation? 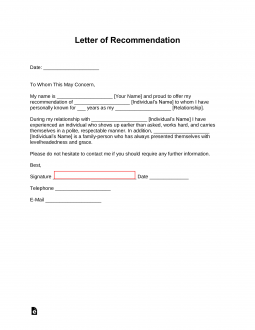 It’s best to download a template that gives you guidance when preparing a Letter of Recommendation. You need to show some effort before asking someone to write you a letter. Most people are busy with their own lives and it can be a hassle to sit down for a couple hours writing down all the great qualities of a person, no matter how highly you think of them. Before you ask and deliver your request, write a Letter of Recommendation for yourself with all the best qualities you believe you have. It will allow the individual to easily sign or amend the letter and in most cases, that individual will add more compliments and nice things to say about you in the letter. Ensure the appropriate party is available to discuss the potential of writing a letter of recommendation. Typically you do not want to bother someone while they are working or during the hours when that person is having quality time with their family. The best non intrusive way to ask for a letter of recommendation is by email, that way the person can find time within their own schedule to send you a reply. When giving someone a Letter of Recommendation, allow at least 1-2 weeks to hear back from your selected choice. Being pushy or nagging may help you receive the letter faster, but there is also a good chance that the letter will be less inspiring. Nobody wants to do a favor for another person who goes about doing so lacking respect. Simply let the person know that you want it back on a specific date in 1-2 weeks. If you know this person really well and they happen to be a forgetful individual, then it’s perfectly fine to give a few reminders throughout the week to ensure they do not forget about your Letter of Recommendation request. Once your appointed choice has sent you back the completed Letter of Recommendation, make certain that you proof read it before sending it off. Give thanks and appreciation to the person that went out of their way to do you this favor. 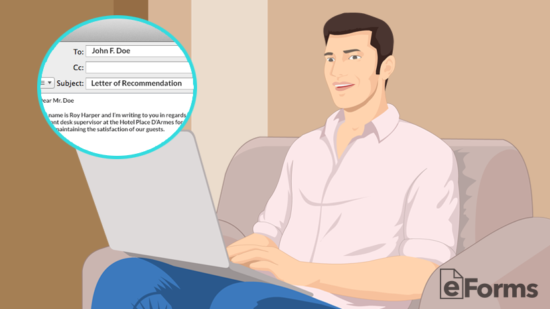 The writer of a recommendation letter should be able to speak directly to the individual’s ability to perform in the position for which the applicant is applying. Good examples of a recommender are previous employers, colleagues, clients, or teachers/professors because they can attest to the applicant’s work or academic performance. It’s important to choose someone that will take the task seriously and put some time aside to write a proper letter. A hastily written letter can appear weak and superficial, and will therefore be ineffective or possibly counterproductive. On the other hand, if someone has been asked to recommend an individual, but believes they are not qualified to do so, it’s best for them to politely turn down the request. An inadequate recommendation letter can be detrimental to the candidate’s application and could potentially risk the writer’s professional reputation. 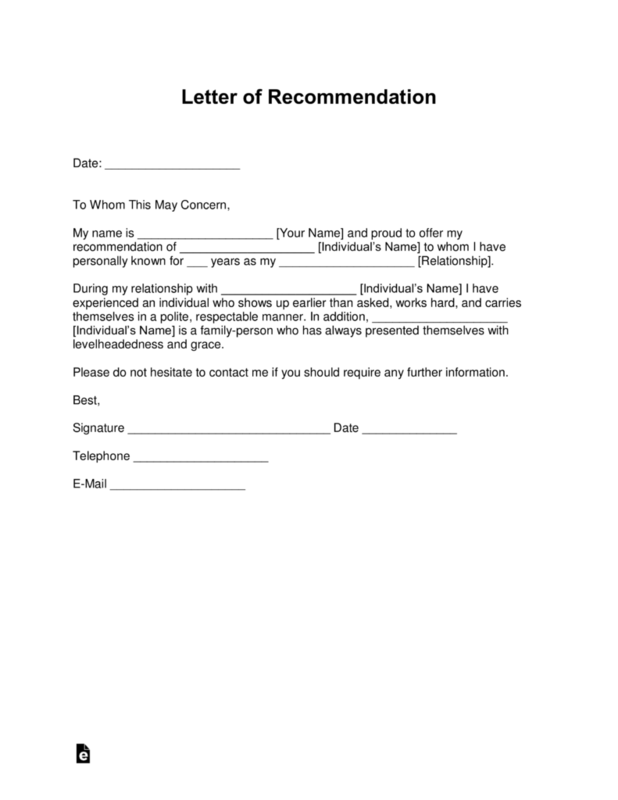 A recommendation letter consists of three sections; the introduction, the body paragraph(s), and the conclusion. Although some types of recommendation letters follow imprecise formatting, most letters adhere to a specific format and should be written in a professional tone. The longer the writer has known the candidate, the more detailed the content can be. However, the length of a recommendation letter is less important than the content of which it is comprised. As long as the letter includes the candidate’s qualifications and personal attributes, it will serve as a persuasive argument in their favor. The introduction paragraph should introduce the candidate and the writer, the relationship between them, and the length of said relationship. It should also include the position the candidate is applying for (if applicable) along with the reasoning behind the writer’s recommendation. Sometimes the writer will have been informed as to who will be receiving the letter and can address it specifically to that person; usually a hiring manager/supervisor, admissions officer, or board of admissions. The letter should open with “Dear [name],” or “Dear [admissions committee/board of admissions],”. If it is unknown who will be reading the letter, it’s usually best to begin with “To whom it may concern,”. Although it’s not always necessary, writing the date at the top will help maintain the validity of the recommendation letter. If a letter is dated 2008 and the individual in question is applying for a job in 2017, the legitimacy of the letter diminishes significantly. 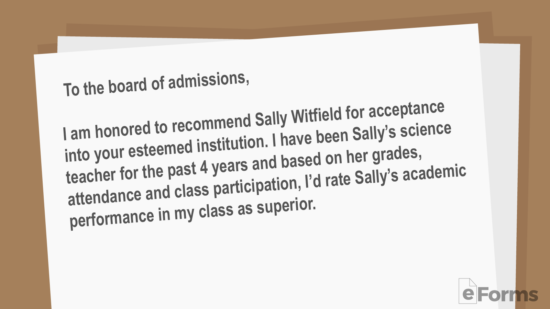 I am honored to recommend Sally Witfield for acceptance into your esteemed institution. I have been Sally’s science teacher for the past 4 years and based on her grades, attendance and class participation, I’d rate Sally’s academic performance in my class as superior. Example #1 was written by a high school teacher in support of a student’s application to a college/university. Since the application is related to academics, the teacher touches on the student’s ability to perform well in a classroom setting. My name is Dai Houliang and I’m writing to you in regards to Jason O’Sullivan’s application as hotel manager. He has worked as front desk supervisor at the Hotel Place D’Armes for the past 2 years and has always been able to keep the staff organized while maintaining the satisfaction of our guests. In this example introduction paragraph, the writer is a former employer of the applicant and can attest to their strengths and suitability to the particular position for which he is applying. 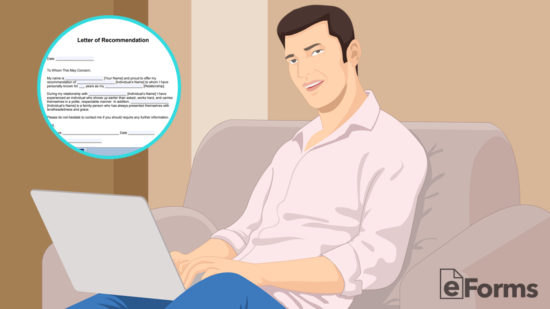 The body paragraph(s) of a recommendation letter is where the writer will go into detail regarding the applicant’s skills, qualifications, and accomplishments. The writer should provide sufficient examples to support these claims, thus assuring the reader that the letter comes from a credible source who can vouch for the applicant’s eligibility. 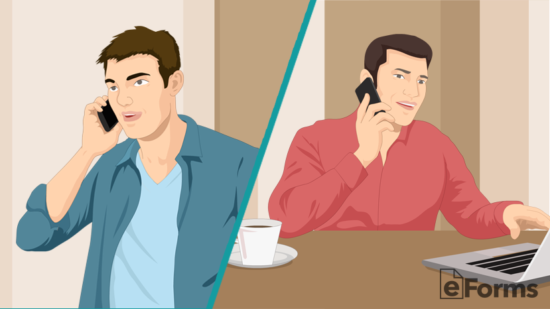 The number of paragraphs and the length of these paragraphs will vary from one type of letter to the next but the main goal is to form a convincing argument on behalf of the candidate in however many words is necessary. Generally, a recommendation letter will be used for a specific purpose and it’s up to the writer to learn what that purpose is. The recommender can then include strengths and skills that the applicant possesses that are relevant to that particular line of work, field of study, etc. While Kamel had no previous experience in retail, he was a natural. He has a terrific personality for the job. He makes clients feel at ease and provides exceptional customer service. Kamel works equally well on his own, or with others. 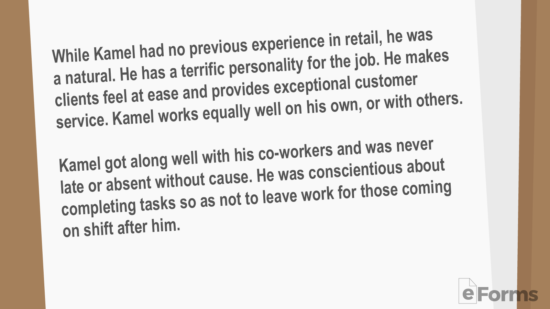 Kamel got along well with his co-workers and was never late or absent without cause. He was conscientious about completing tasks so as not to leave work for those coming on shift after him. Recommendation letters aren’t always written for a specific application or purpose, but can be requested by an individual should they wish to have a general reference to use in the future. The employer in this example body paragraph lists some of the employee’s qualities that he thinks will be helpful to a wide range of applications/functions. Alessia started watching our kids 5 years ago when our first daughter, Aisling, was 4 and our second daughter, Elodie, was a newborn. Because of our demanding jobs, my wife and I are unable to be home for large periods of time during the week. It has been immensely comforting knowing that they are in the care of Alessia. Alessia devotes her full attention to each child and can juggle tasks flawlessly. Our two daughters, being 4 years apart, have very different needs and attention spans, but Alessia is able to cater to each separately. She’ll be helping Aisling with her homework while making a meal for Elodie and keeping her entertained so she doesn’t distract her older sister. My kids talk about her as if she’s a part of the family and insist on inviting her to their birthday parties every year. I understand that the demands of a daycare employee are different than those of a family nanny, but I am confident that Alessia is up for the challenge. The writer in this example body paragraph was able to accurately describe the characteristics of their nanny with real-life examples and experiences to back them up. The applicant in question is applying to multiple childcare facilities, therefore, the recommender makes sure to include attributes that will help her find a favorable position. The conclusion paragraph should wrap up any final thoughts the writer has concerning the applicant’s qualifications, and it should reiterate their support for said applicant. Unless otherwise specified, the writer should provide a way to contact them should the reader require more information. 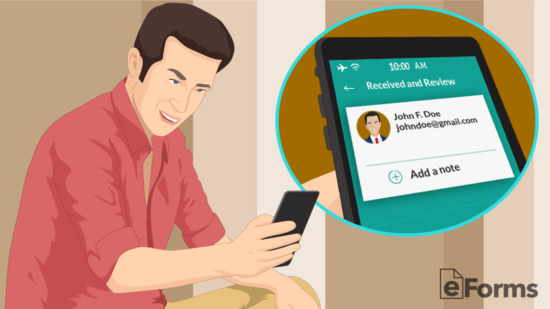 The writer’s contact details can be included either in the conclusion paragraph, in the letterhead, or after the sign-off. Some letters of recommendation require more precise formatting but it’s customary to use a formal-sign off and include the writer’s signature, name, and contact information at the bottom. I’m confident that the excellent work ethic Alejandro has demonstrated during the course of his employment will carry over to his studies. Alejandro is charismatic, well-spoken, ambitious and, if he is accepted into your prestigious academy, there’s no doubt in my mind he will exceed your expectations. Please call me at the number below (during regular business hours) or by email (anytime) with any questions regarding Alejandro’s application. Example #1 closes with a convincing statement regarding the applicant’s ability to perform his previous job and the writer’s belief that he will excel in his future endeavors. 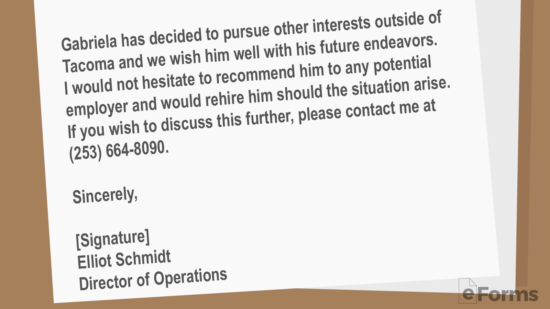 The writer provides two contact methods, which shows that they are serious about their endorsement of this applicant. Gabriela has decided to pursue other interests outside of Tacoma and we wish him well with his future endeavors. I would not hesitate to recommend him to any potential employer and would rehire him should the situation arise. If you wish to discuss this further, please contact me at (253) 664-8090. This second conclusion paragraph example contains all the necessary components and, even though the writer doesn’t know for what exactly the letter will be used, they clearly have faith in the applicant’s ability to work well in any position they are given. Contact information is provided in the paragraph and the writer’s job title is included at the bottom which helps establish legitimacy. I am honored to recommend Mr. David Lawson for the position of music teacher at Beaverton High School. As principal of Douglas Elementary, I’ve seen David’s contributions to this school first-hand and it will be a difficult task trying to find a replacement for such a dedicated teacher. Our school has recently suffered from budget cuts and some of the programs will have to be reduced or completely eliminated from the curriculum. We have an extensive music program, of which David contributes to greatly, but unfortunately, this is one of the areas that must be condensed. The head of the music program will be teaching all the classes now, which means Mr. Lawson is left to seek other employment. This is in no way a reflection of his skills as an instructor, it’s simply an unfortunate circumstance that has caused us to lose a most talented teacher. David started teaching at Douglas Elementary back in 2008. The music classes we offer started off as quite general, but David dedicated time and energy to expanding the program to include more options for students with a higher interest in pursuing music as a career. He introduced new classes to the curriculum and spent countless hours working with smaller groups of students, even going as far as providing one-on-one lessons after school. David’s expertise in music along with his organizational prowess will for sure be an asset to whatever school is lucky enough to have him. It’s no secret that David is one of the children’s favorite teachers. I step into his classroom from time to time as I make my rounds about the school and am delighted to see how enthralled the children are in Mr. Lawson’s classes. His style of teaching is very animated and captivating. The children always seem anxious to get through their other classes so they can play music with Mr. Lawson. He quickly develops a rapport with his students but also takes time to listen to the concerns or comments brought forth by their parents. I have had parents come to me on more than one occasion praising David for the positive impact he had on their child’s education. David has unlimited patience and his devotion to music does not go unnoticed. His energy will be dearly missed at Douglas Elementary, but we’re confident his experience will be appreciated if he is accepted into your faculty. I would be happy to provide more detail concerning Mr. Lawson’s application should it be necessary. Sherine has worked for me every summer for the past 6 years, helping me with various cases and legal assistance within my law firm. I have degrees in both law and architecture and I can say with certainty that Sherine’s organizational skills and professional demeanor are on par with many of the paralegals and interns I have worked with. I am not an easy person to please and my demands are often quite particular, but my mind is put at ease by Sherine’s dependability and meticulous work ethic. She is punctual and shows incredible initiative. I always provide Sherine with a list of tasks to be completed by day’s end, but Sherine works so diligently that she often goes above and beyond what I ask of her. Even when the work is physically demanding, she demonstrates tremendous strength and stamina. I wish I could hire Sherine every summer but I look forward to following her accomplishments as she continues her journey through life. I am confident Sherine will be successful in any endeavor she applies herself to, therefore, I am happy to give her my highest recommendation. I’m writing in support of Mr. Darpreet Vaidya’s application for the available cook position at Diamond Grille. I’ve had many cooks come and go during my 8 years as a supervisor here at Joe’s Restaurant but Mr. Vaidya stands out as one of our most valuable employees to date. I hired Mr. Vaidya in 2013 and, although he had no previous experience, he quickly learned the methods and techniques. He’s efficient, organized, a great team payer and an amazing multitasker. He brings immense energy to the kitchen and keeps the atmosphere positive. We have quite a revolving door of kitchen staff, but Darpreet has been very loyal and trustworthy. I’ve had a few occasions where a cook doesn’t show up, but Darpreet has always come to my rescue. He also helps train the new guys, making sure they are comfortable in our kitchen environment. I strongly encourage you to consider Darpreet as a cook in your fine establishment. He is motivated, creative, and has a keen eye for detail. I am sad to see him go but am convinced he will bring the same enthusiasm to his next job. You can call me at (330) 378-1217 if you have any further questions.